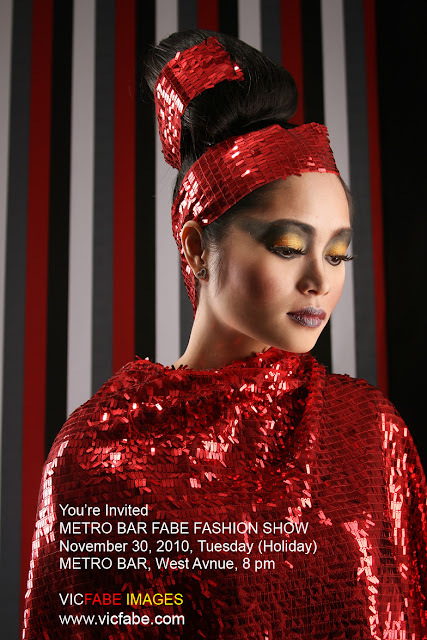 You are invited to watch my FABE FASHION SHOW featuring Christmas inspired sportswear collection. Tickets are only 200 pesos only. Please text me, Vic Fabe at 0916.654.5707, if you want to buy from me. Tickets at the venue are expensive. Mine is cheaper because I'm a sponsor. registration fee applies if you want to join my show. Having fashion ramp show pictures will make your folio look much better. People would like to hire people with experience. Join me now.